Probably the most underappreciated of naval weapons is the humble mine. Mine warfare is unglamorous, dangerous, and potentially decisive. The first ship mined (as we understand the term today) was HMS Merlin, on July 9th, 1855. The ship, deployed to the Baltic as part of the Crimean War,1 suffered only minimal damage. 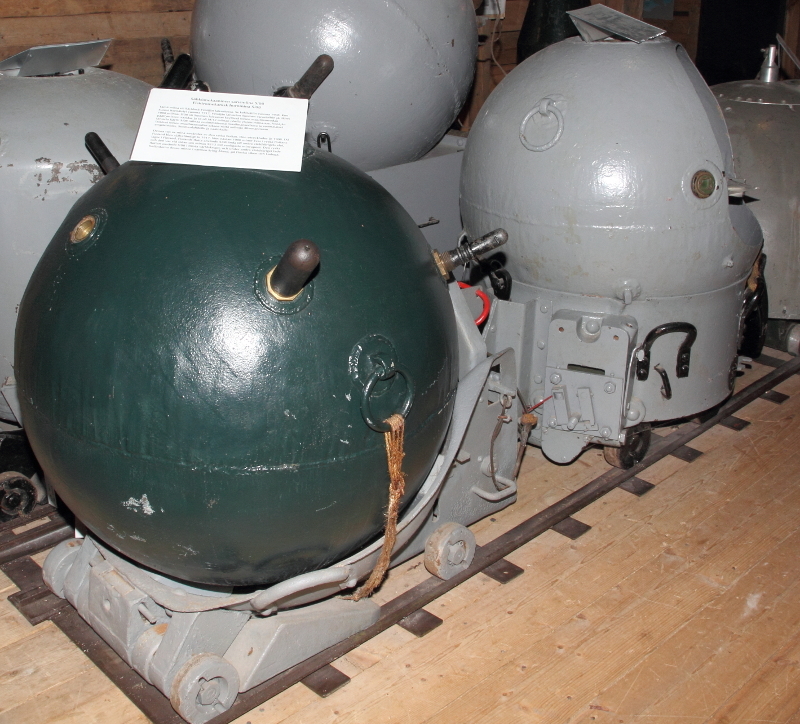 The Russians had deployed primitive moored contact mines, tethered to the bottom, which detonated if a rod on the top was bumped by a passing ship. Interestingly, they were invented by Immanuel Nobel, father of Alfred Nobel. In response, the British initiated the first minesweeping operation a few days later, grappling the mines and hauling them up. Remote-controlled mines, detonated from shore, were also used, but proved less successful than the contact mines. Mines played a part in the American Civil War, too, protecting harbors and interdicting rivers. 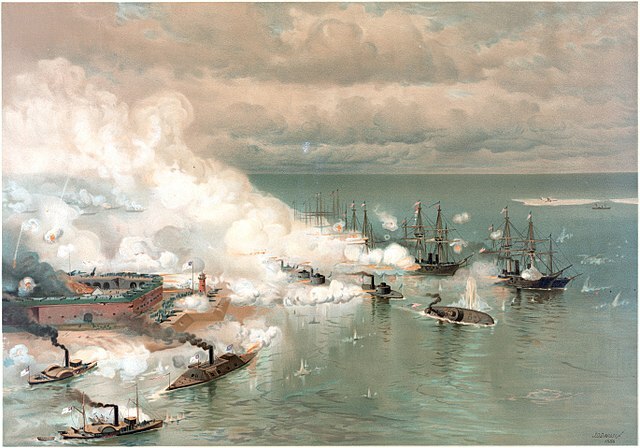 The famous “Damn the torpedoes, full speed ahead” quote actually referred to a minefield at Mobile Bay, because at the time, “torpedo” was a generic term for any underwater explosive. Mines developed slowly throughout the second half of the 19th century. 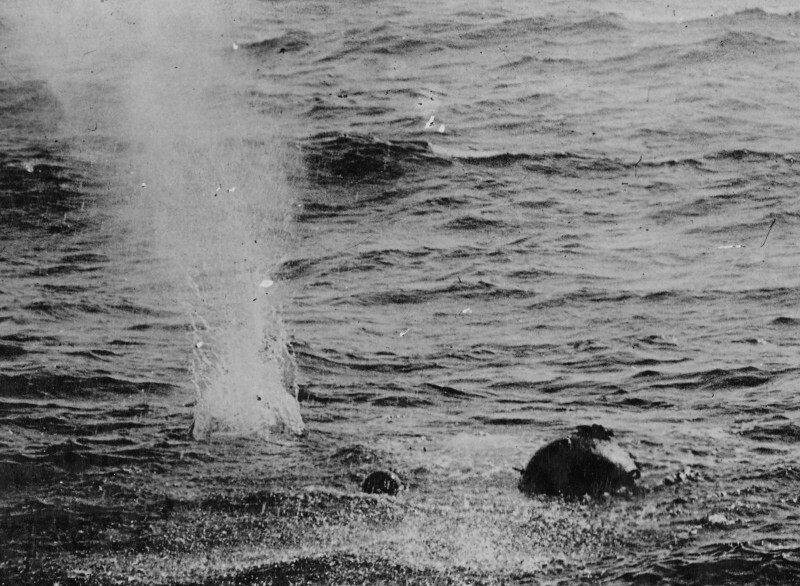 The sea is not stationary, so creating a mine that would reliably detonate on contact and not be set off by waves was difficult. The first truly successful contact detonator was the Hertz horn, invented in the 1870s- these are the spikes seen on the most popular naval mine stereotype. Each horn is made of lead and contains a vial of sulfuric acid. When the horn is bent, the vial breaks and the acid runs down into a lead-acid battery, producing a current flow that detonates the mine. Another interesting innovation was the automatic depth setter. Contact mines need to be deep enough to be concealed while being shallow enough that ships can’t pass over them. 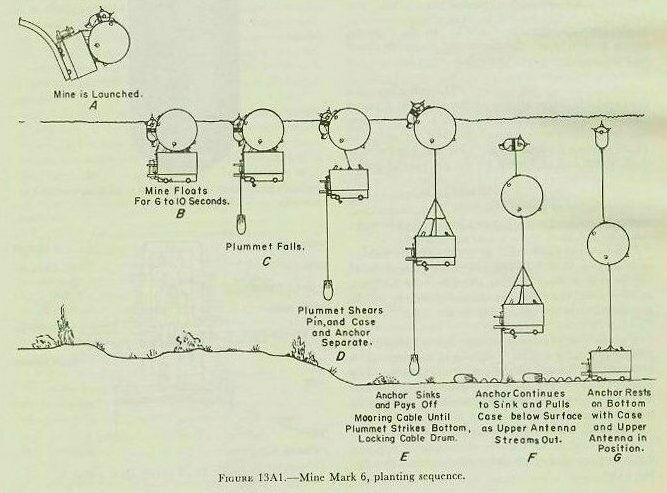 Early on, moored mines had their cables cut individually to achieve this, but this was slow, and the automatic depth setter was soon invented to solve this problem. A mine would have three separate parts, the mine proper, the anchor (a box), and the plummet. Initially, the mine and the anchor would float together, while the plummet fell, attached to the anchor by a length of cable equal to the desired mine depth. 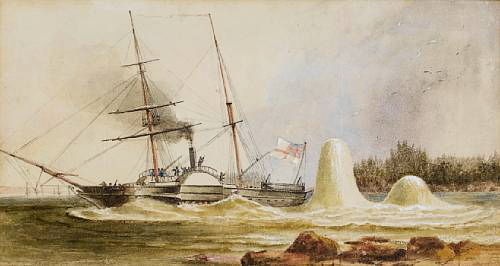 When the plummet reached the end of its cable, it pulled a pin which allowed water to flood the anchor and start it sinking. The mine’s chain was then played out from the anchor as it fell. When the plummet reached the bottom, the chain was locked and the mine was dragged down to the desired depth by the anchor. Mine warfare first made a major impact during the Russo-Japanese War. The first battleship sunk by mines was the Russian Petropavlovsk, the flagship of their Pacific fleet, while she was attempting to leave the base at Port Arthur. She took with her Admiral Makarov, the fleet commander and by far the best Russian admiral of the war. This was one of the first examples of offensive mining, or laying mines in areas an enemy is likely to pass through, as opposed to defensive minelaying to keep an enemy out of a specific area. The Russians retaliated with their own offensive minelaying, sinking two Japanese pre-dreadnoughts, a third of their fleet. The Japanese also made use of drifting mines, which sank the Russian battleship Navarin during the Battle of Tsushima. This threat greatly concerned the British during World War I, and was one of the drivers of the British turn-away at Jutland, but it never materialized. World War I saw extensive use of mines by all sides. 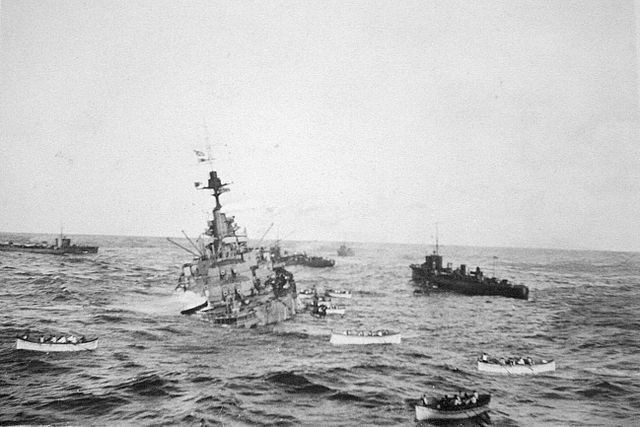 In October of 1914, the battleship HMS Audacious was sunk off of Ireland by a mine laid by the German auxiliary Berlin. 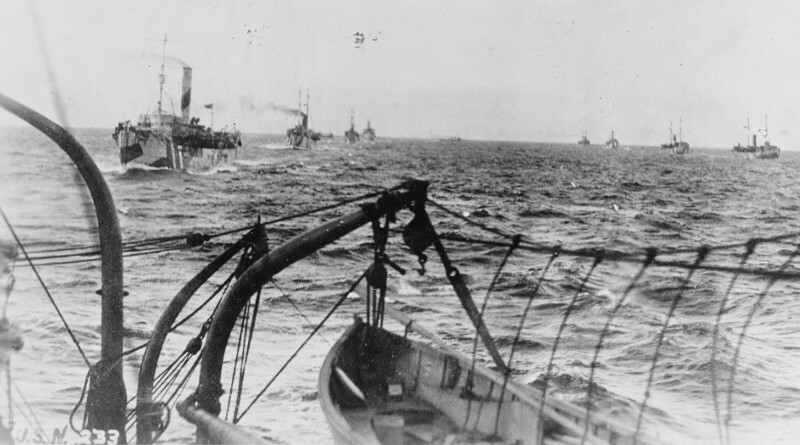 The Germans initially focused on large minefields laid by surface ships and set deep in an attempt to kill British warships, while merchant ships would hopefully sail over them. Beginning in 1916, they switched to smaller submarine-laid fields intended to sink merchant shipping. The British countered by taking up large numbers of trawlers and converting them to sweep for mines. 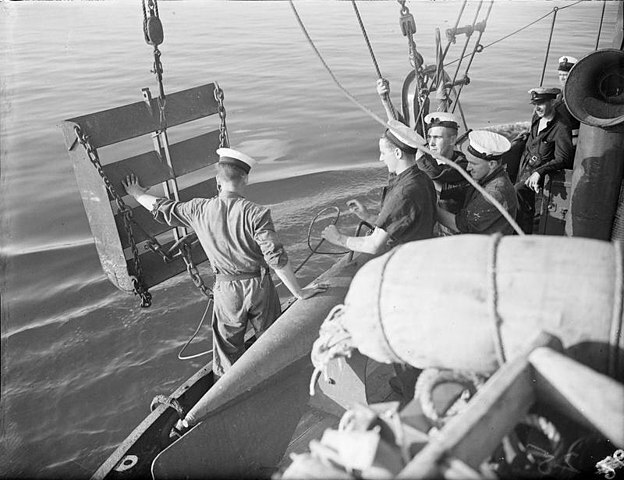 They also engaged in offensive minelaying off of German bases, and would use radio intercepts of orders to the German minesweepers to determine when the High Seas Fleet was about to sortie. Both sides also constructed large defensive minefields, the most prominent of which was the minefield in the Dardanelles. 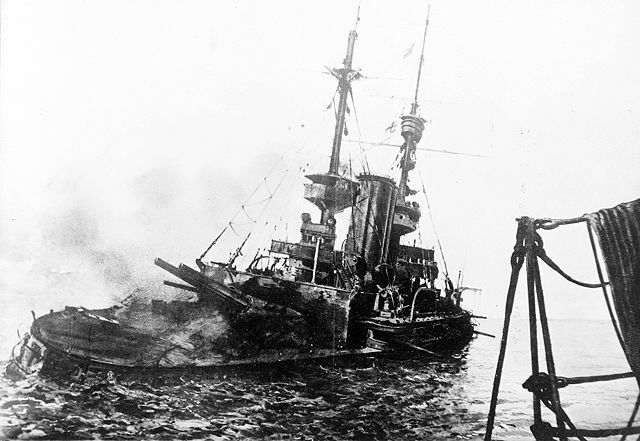 This minefield thwarted the initial attempt to force the strait, sinking three pre-dreadnoughts and damaging three more along with a battlecruiser,3 and the guns covering the field made it impossible to sweep. The allies landed at Gallipoli to silence the guns, but the attempt ultimately proved unsuccessful. The other side of using mines is dealing with them. Sweeping for mines is exactly what it sounds like. The standard method was to take a small vessel, originally a converted fishing trawler, and stream a pair of “sweeps” from it. These long wires are held out from the side of the ship by underwater gliders called kites which keep the cables under tension. The sweeps are designed to break the mooring cables of the mines, either through mechanical damage or small explosives, causing them to float to the surface where they are usually sunk by gunfire from the sweeper. The sweeps also serve a protective function. Mines are usually pushed aside by the bow wave, then drawn in to strike the side of the ship, but the sweeps prevent this from happening. Similar devices called paravanes are used by larger ships to protect them from mines, pushing the mines aside instead of cutting their cables. There are substantial drawbacks to sweeping, however. It’s a slow process, and the resulting path is fairly narrow. 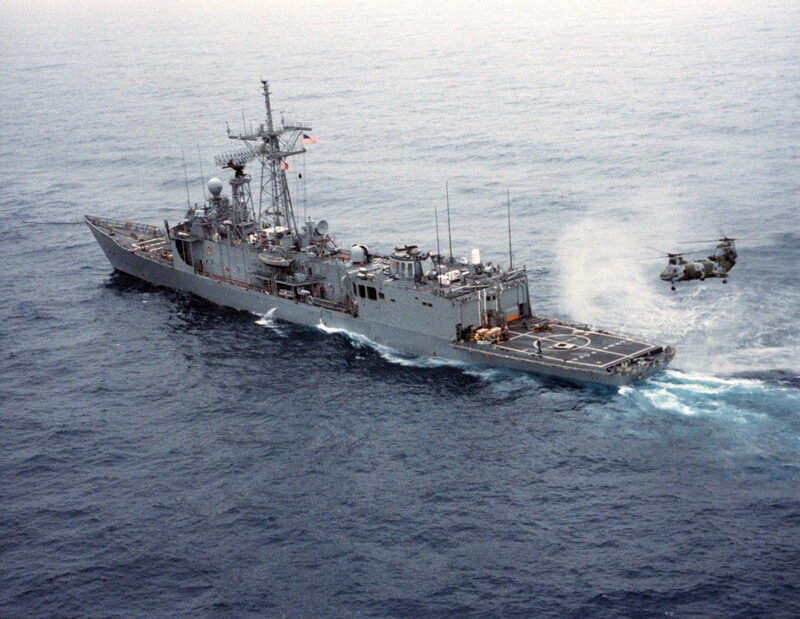 It has to be repeated frequently in areas that are in danger of being mined and consumes lots of ships and manpower. Also, some mines are fitted with anti-sweep devices, such as ratchets that allow the sweep to pass through the cable or explosive charges designed to sever the sweep when it passes. Although contact mines have fallen in importance relative to influence mines since WWII, they remain a threat to this day. They’re cheap and highly effective, provided the target does not have advanced mine-warfare capabilities, such as good mine-avoidance sonars. If they do, then you need to look at influence mines, which I discuss next time.